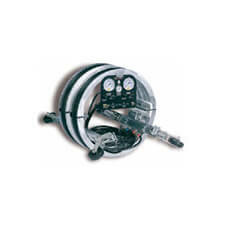 The Cherne Air-Loc® Low Pressure Air-Testing System has been successfully used for testing sewer pipe installations for over 40 years. 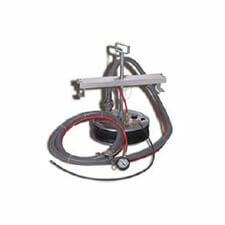 This method of testing pipelines had proven to be the fastest, most economical and accurate method of testing pipe. It allows you to perform tests as prescribed by ASTM C 828, C 924, and F 1417. 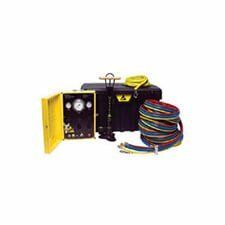 Air-Loc® manhole testers provide the most effi cient, accurate, and cost-effective method of testing new, existing, and rehabilitated manholes, per ASTM C 1244. Fast, safe, and easy to use, a five-second test determines joint integrity. Cherne´s Air-Loc® Joint Tester is designed to test large-diameter, installed, pre-cast concrete pipe as described in ASTM C1103. Ready to test with water or air straight from Cherne´s factory-no modifi cations are needed-the Air-Loc® Joint Tester also allows you to pre-test before backfilling. 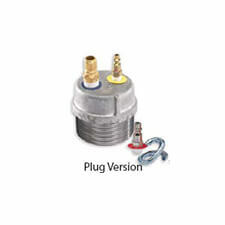 Capable of testing to 15 PSI air or 50 psi water.